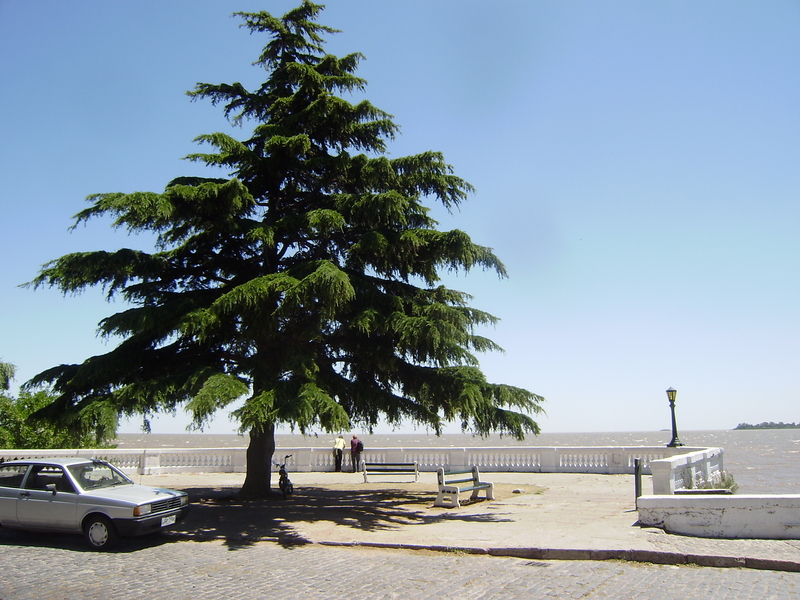 A day trip to Colonia is a very popular solution for renewing tourist visas. Expats, long stay tourists and study abroad students alike make a ‘Colonia Run’ every ninety days to get a fresh passport stamp. Should you overstay your visa by a day or a year, there is a three hundred peso fee. For longer stays, obtaining an official visa from immigrations may be a worthwhile venture. 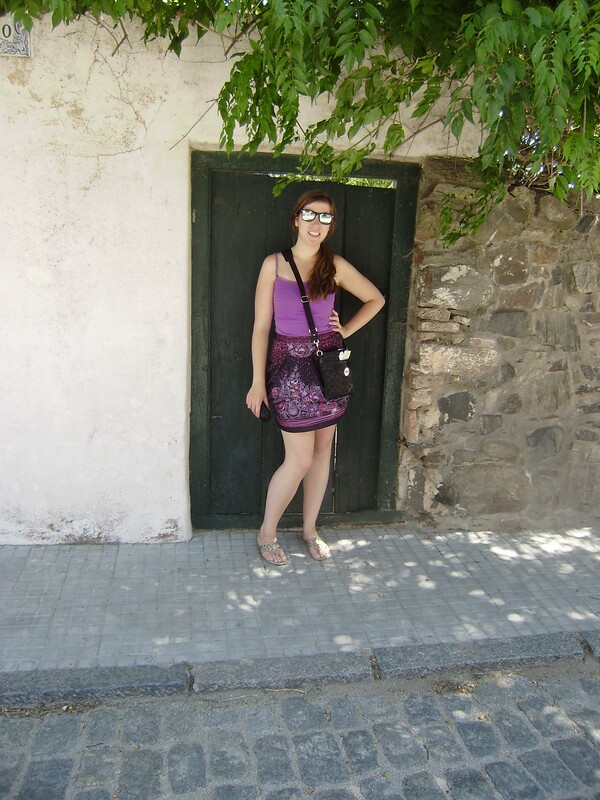 In the mean time, here are things to enjoy in Colonia! Pronounced by locals as bookayboos, this world’s fastest ferry is a delightful start to your international excursion. 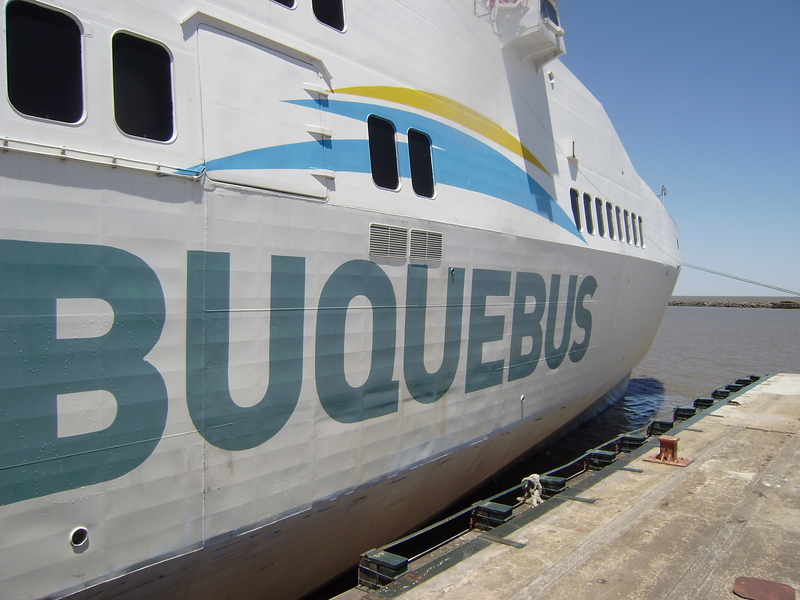 The ferry takes you across the Rio de la Plata to neighboring Uruguay in about an hour. Each boat features a small cafe and extensive duty free shop, to keep you occupied for the short ride. For schedules, prices and reservations, check here. Compared to the fast paced chaos you just left behind in Buenos Aires, arriving in Colonia is like setting foot in a new world. The laid back atmosphere of the small town is a relieving break from the big city. I was shocked when cars gave us the right of way in crosswalks! For adventuresome explorers, try renting one of these speedy golf carts. Rental companies can be found scattered throughout the downtown. Besides its relaxing slower pace, Colonia’s gorgeous river views are the real treat. We took a leisurely stroll along the waterfront to soak up the peaceful beauty. On a clear day you can even see Buenos Aires in the distance across the water. While strolling along the water we found a patio cafe playing reggae music, so we sat and enjoyed a long lunch in the shade. The food was indistinguishable from Buenos Aires. 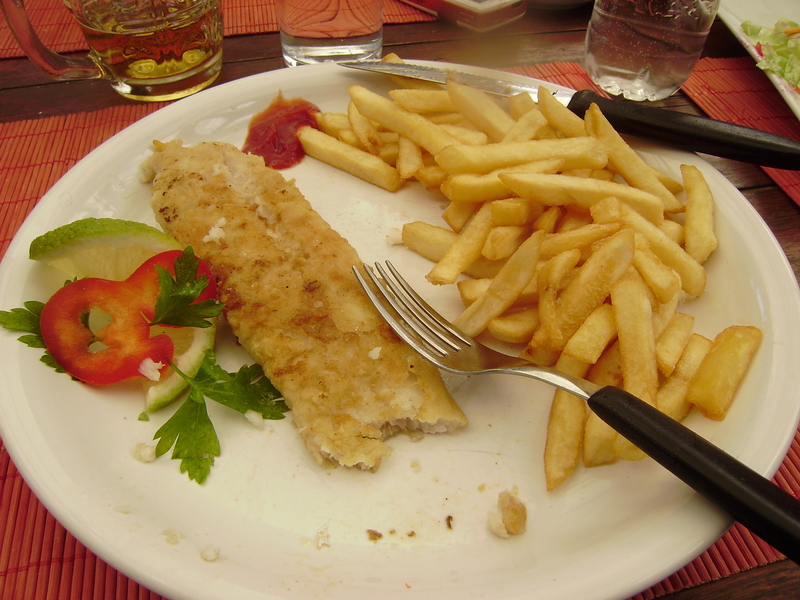 I had fish and chips. Most restaurants accept Argentine pesos, so there is no need to exchange money. Beware that prices are inflated for tourists. My favorite part of the excursion was visiting the old side of town. Many of the old colonial buildings have been restored. 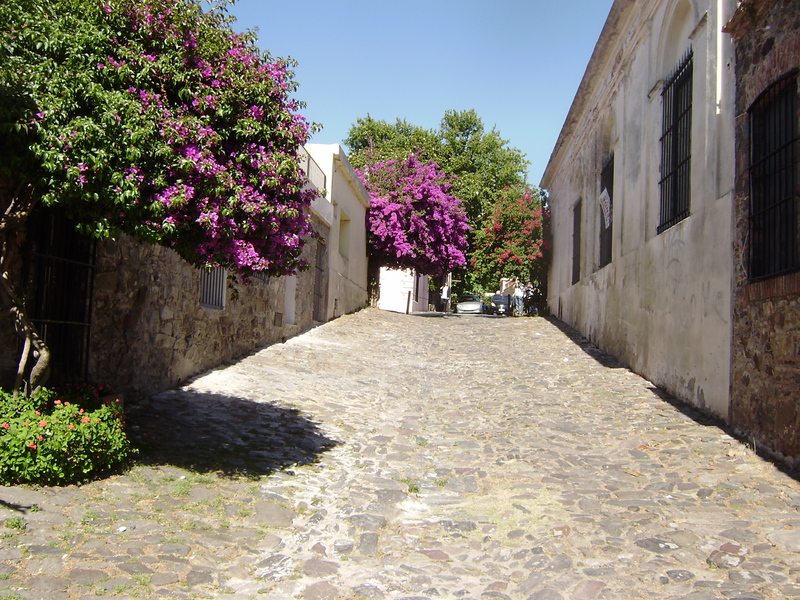 Wandering through the cobblestone streets is like taking a little trip into the past. There are many cafes and shops scattered throughout the old neighborhood, sure to keep you entertained for hours. 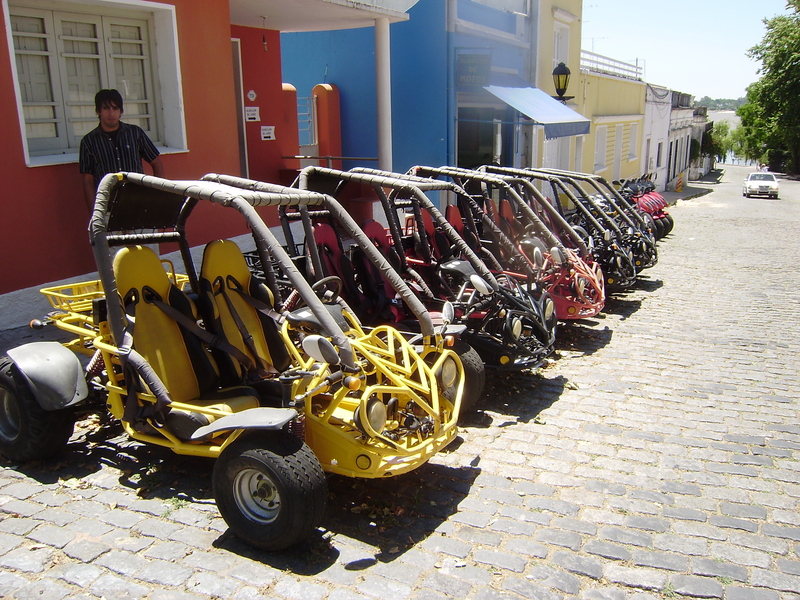 Take advantage of visa renewals and enjoy Colonia, Uruguay! he does look like a tool! I was once coming back from Colonia with my then fiance, now wife, when the immigration official looked at the many re-entry stamps in my passport. Then she looked at me, looked at my fiance, and said, “I’ll give you 90 days, but you have to marry her” and stamped my passport, handing it back. Definitely took the edge off the whole border-crossing nervousness….